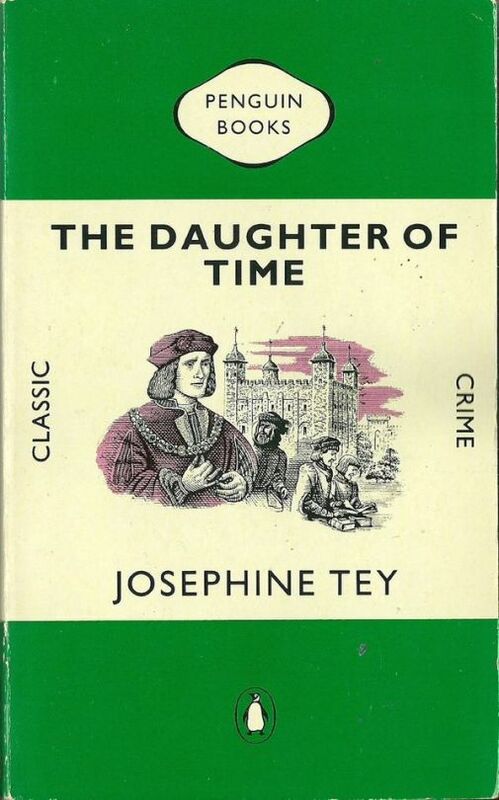 I finished reading Josephine Tey's book The Daughter of Time. I liked it less and less as it went on - I guess as the charm and wit of the narration and characters wore off, and the historical mystery part really set in. But, for the sake of a few fine imaginative or domestic passages, are we to be bullied into a certain Philosophy engendered in the whims of an Egotist? Every man has his speculations, but every man does not brood and peacock over them till he makes a false coinage and deceives himself. Many a man can travel to the very bourne of Heaven, and yet want confidence to put down his half-seeing. Sancho will invent a Journey heavenward as well as anybody. We hate poetry that has a palpable design upon us, and, if we do not agree, seems to put its hand into its breeches pocket. It feels very much like it was written to convince me of Richard III's innocence, and for nothing else... all of the rest of it is just there to try and convince me, to make me read the argument at the heart of it. Well, I am unconvinced. Also I didn't like the general political tone, or the odd outburst about how effective and wonderful capital punishment is. I have been struggling to read much else - sadly, the fact that this was short and charming without much else going on probably worked in its favour. I didn't hate it - I enjoyed a lot of it. I just kind of wish I hadn't enjoyed it so much. And I'm liking it less and less as time goes on. It's a weird thing - sometimes I come to love a film a few days after seeing it, sometimes I like a book while I'm in its grip and hate it afterwards. A Little Life, I'm looking at you. I also read Sofia Samatar & Del Samatar's Monster Portraits recently, and before that I read Anne Boyer's A Handbook of Disappointed Fate. In order to write about those I would need to be about 4000% times cleverer, with both books spread out in front of me. Total works of sparky, magical genius. I think they do well being read alongside each other, too. Monster Portraits is fantastical memoir, the short lyric essay/prose poem borderline as fiction which tells the truth. A Handbook of Disappointed Fate is fabulist in many places, for some of the same broader reasons... realism is an overrated mode, and there are many things that can be achieved more elegantly with other modes. In Monster Portraits, it's about reshaping the past, making something new of the past. In A Handbook... it's sometimes about this, but sometimes, often, whether fabulist or realist, it's about imagining, planning, looking for a way out of the present. Into a new place, future, present, century. Anyway, as I say, this isn't a review. It's not. It's just some thoughts about some books that I somehow, surprising even myself, managed to finish reading. yeah, i felt like i was betraying a lot of people by not liking it more. the writing is very pleasant! but what it's actually doing... is not! !